Brian Dack has owned and operated Kulane Wilderness Lodge for the past 23 years. Before becoming a resort owner he spent 15 years as a contractor for the British Columbia Ministry of Forestry as a fire fighter and Bark Beetle specialist. In 1996 Brian purchased the resort sight unseen and had never even stepped foot on the property. Brian had no experience running a resort and said, “the previous owner really wasn’t much of a people person and had driven most of the customers away. I had the property but there was quite literally no customer base. 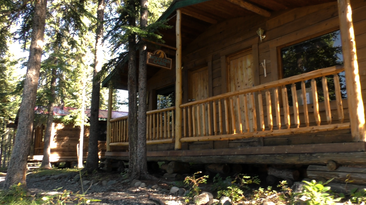 It was like starting from scratch.” There was a lot of work that needed to be done on the property and he rebuilt all the railings on the cabins and added the large deck and sitting area in front of the main lodge. 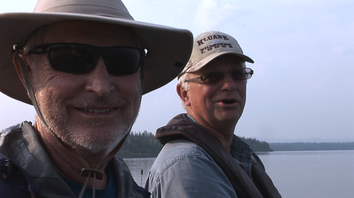 Kluane is the biggest fly-in lodge in the Yukon and Brian will be happy to show you the ropes. All’s you need to do is ask him and he will put you in his boat, show you the spots and techniques, which will lead to your trophy fish. Brian has other interests as well as running Kluane. Right after the season in the middle of September he is a hunting guide for Moose, Black Bear and Grizzly Bears through the middle of October. In November through the end of January he runs a trap line in a 38,000 square kilometer range that targets Wolves, Lynx, Mink, Wolverine, Bobcat, Coyotes, Fox and other species. 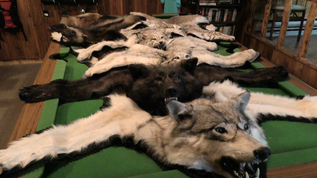 In fact, he has some pelts from his trap lines on display and for sale at the lodge. He is also the President of the British Columbia Trappers Association, which boasts 1,400 members. 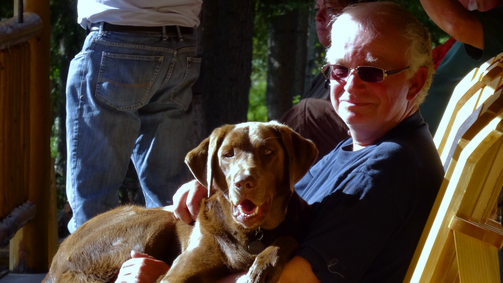 He works closely with the BC wildlife agencies providing expert insights to trapping regulations. Brian has four grandchildren, three girls and one boy. He has two daughters that grew up spending their summers at Kluane and he certainly hopes that you will be the next one to join the Kluane Wilderness Lodge family. 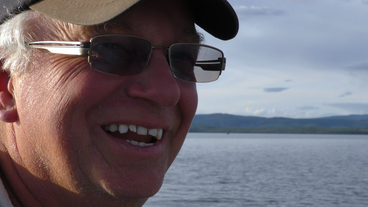 Kluane is the biggest fly-in lodge in the Yukon and Brian will be happy to show you the ropes. All you need to do is ask him and he will put you in his boat, show you the spots and techniques, which will lead to your trophy fish.